Join us Friday October 13 from 9am to 1pm for the Fall Finale. 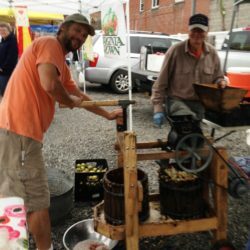 Formerly known as Apple Day, the event features a free community apple pressing, an apple dessert contest and a great pumpkin contest. This is the last Market of the regular season.